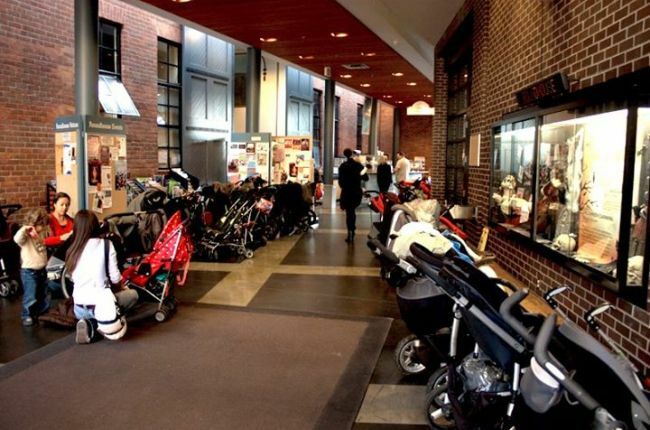 Even before the walking starts – life with a baby is BUSY! Just getting out the door is a win and getting to pre-determined places on time: gold star, please. On top of the regular crazy, baby’s feeding and napping needs seem to be the ruler of all supposed schedules. If nap schedules or non-schedules are keeping you from signing up for weekly mom and baby classes (because how many times do you want to wake a sleeping baby? ), keep these awesome mom and baby drop-in options on your “hustle and go” activity list. 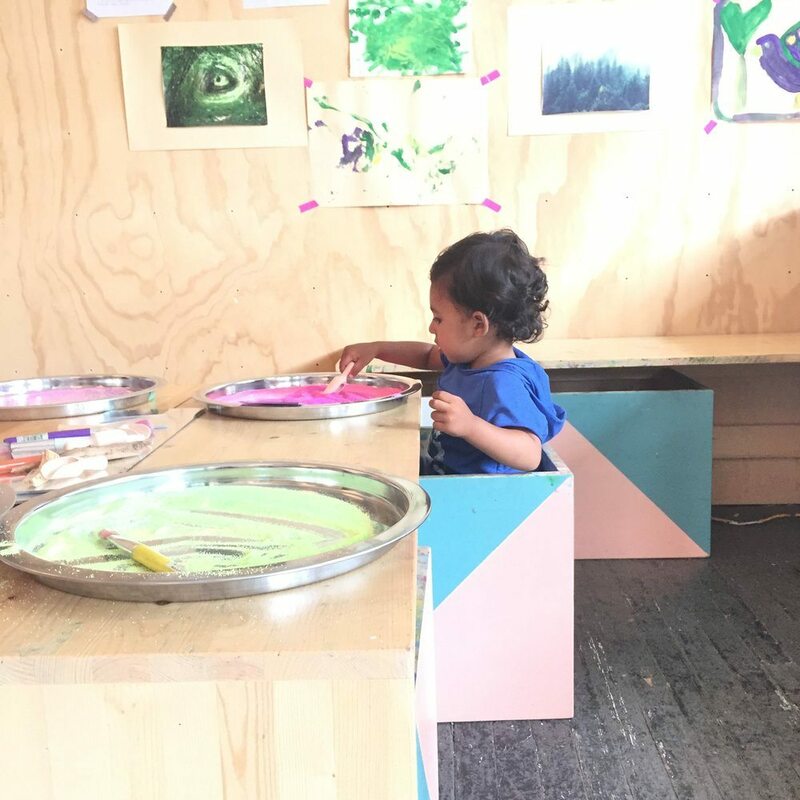 There’s a reason the regularly scheduled classes at Chorus & Clouds always sell out right away – this cozy space is a gem for little budding explorers, music makers and toddler artistes! The talented and creative Jess Schellenberg runs an afternoon drop in every Friday where music, art making and discovery centres will totally delight little ones with all types of interests. The atmosphere fosters discovery, learning, and positive re-enforcement. Expect interactive songs like Slippery Fish with felt companions, interactive stories or the special treat of Jess on her ukulele during as you start or finish the class off with a special circle time. Insider tip: Show up 10-15 minutes before any of the regularly scheduled Chorus and Clouds classes are meant to start. If a family doesn’t show up and there’s space, Jess often gives you the okay to join as drop in (class fee applies). Join the amazingly positive and friendly Lee Ann Steyns on Wednesdsays for a 45-minute crash course in “baby sign language”. What you’ll learn is actually basic American Sign Language, which Lee Ann does an amazing job of making non-intimidating by incorporating lots of singing, vocab, song sheets and repetition. 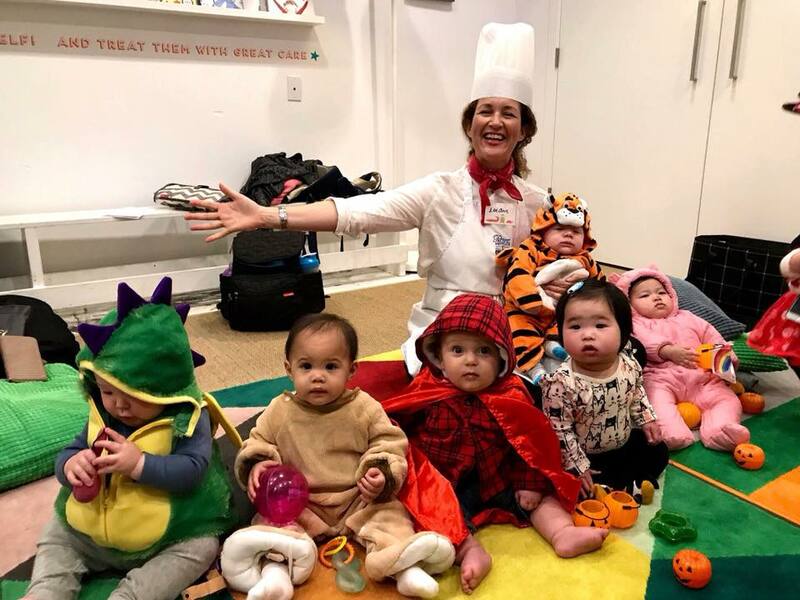 Each week there is a different theme or topic, toys for babies to engage with between songs and signing, and a relaxed atmosphere where you can meet other moms & babes. What’s to love most: Babies can often sign long before they use words or speak. Keep the sign language going at home and you’ll be amazed at how your little one starts to communicate with you. Some days you just need a little more space, toys that aren’t yours (for the babe) and just to get out of the house to see some other adult faces! Welcome to parent and tot gym time at the Roundhouse Community Centre. This option is easy on the wallet and with toys galore, pushers, foam blocks and a bouncy castle – there’s something for all wee ones. The space is definitely geared towards littles on the move (creepers, crawlers, walkers and runners) and allowing them to burn off some energy. Great for indoor play dates with a mom friend and babe, or send grandparents there with your littles to give them something “new” to discover without the structure of a set class. The best part is there are options almost every day, so one of these times is bound to work out no matter your (non) schedule. And it’s only $2.75 a pop! Nearby attraction to check out: All aboard! Check out the Engine 374 Pavilion right next door to the Roundhouse. Open year round, daily, from 11-3pm in the winter, little ones will be amused by the automatic trains in the display case and older kids will love the big train. Next PostFive 2019 New Year's resolution helpers! Five 2019 New Year's resolution helpers!